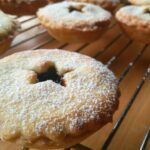 I just love the wonderful aroma of baking around Christmas and these fruit mince pies really add to that deliciousness and festive feeling. Here in South Africa, you know that the festive season is here when the stores start to display trays of delicious fruit mince pies. The fruit mince is a tangy, sweet and sour mix of apples, currants, mixed peel and orange and it pairs perfectly with a scoop of ice cream or whipped cream. 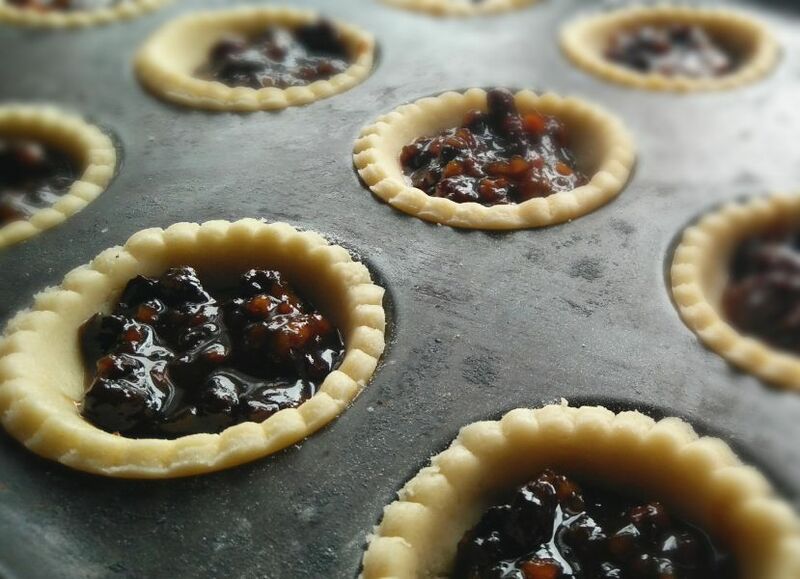 I love to bake my own mince pies, the smell of the delicious fruit baking in this melt in your mouth short crust pastry is absolutely warming and divine. 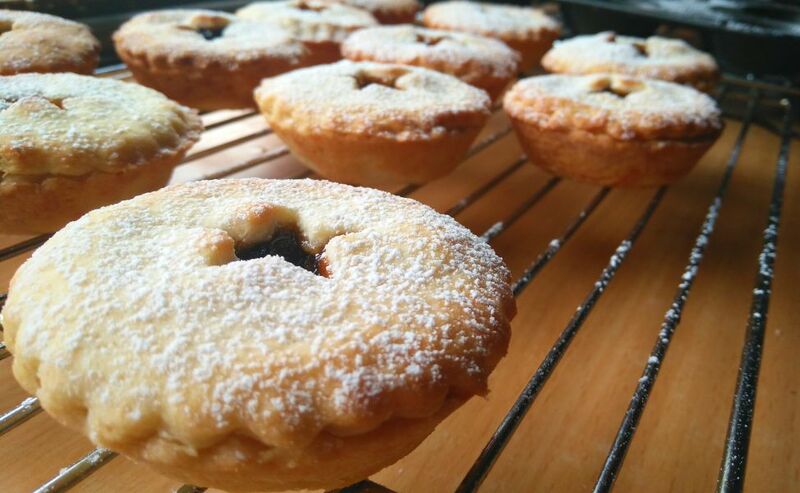 These fruit mince pies are made with delicious short crust pastry and filled with traditional spiced fruit mincemeat, and dusted with sugar. These pies are really simple and quick to prepare and quickly eaten up as well. I usually use the jar of fruit mince which you get in stores. Homemade fruitmince is great, but that is a recipe for another day. In fact all that’s done here is the pastry, which takes about 5 minutes to prepare and 10 minutes to chill. I usually chill the pastry in the freezer instead of the fridge, for about 10 minutes. 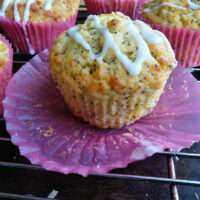 I feel that it firms up the pastry a bit more and is easier to handle. 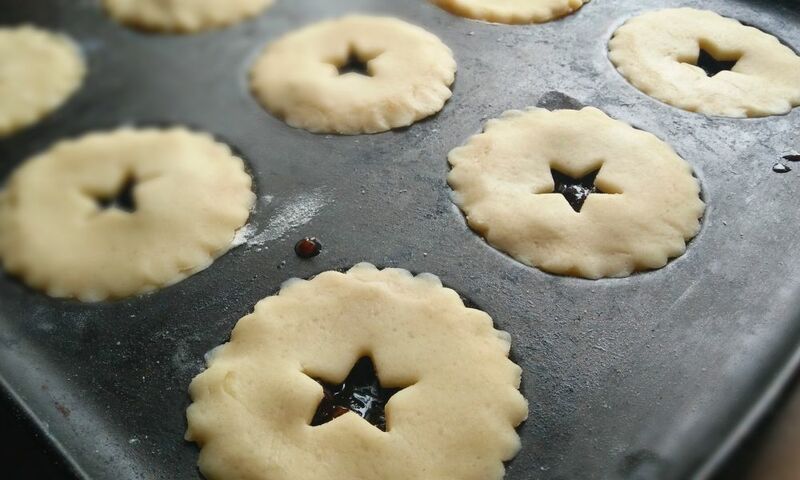 Fruit mince pies are baked in a shallow tart pan or a deep muffin pan, if you prefer. 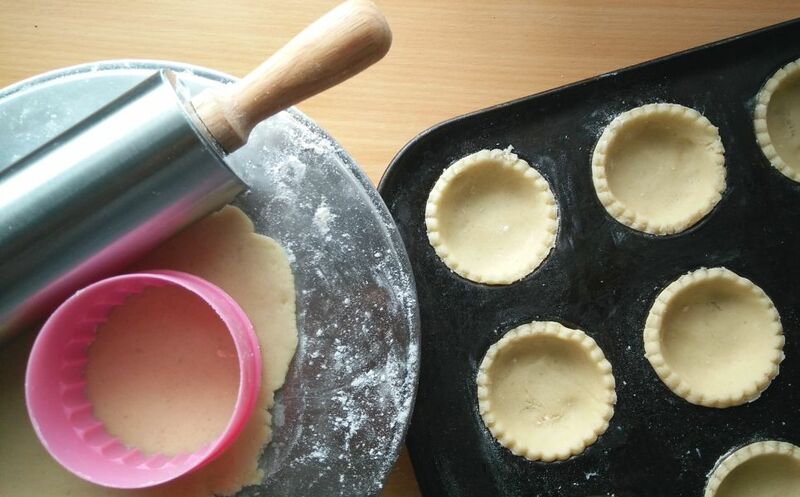 After the pastry has chilled, roll it out to about 4mm thick and cut out the base for each pie. I used a cookie cutter to cut out the circular bases so that they were the perfect size to fit into the tin but use of whatever you have to get the right size to fit into your pan. Line the tart or muffin tin with the cut off bases. Place about a teaspoon of fruit mince into each. Re roll the pastry and cut out covers, cutting out decorative stars if you prefer as well. Use this to form a lid on the pie pressing on the edges to seal. See how pretty it looks dusted with powdered sugar. These absolutely delicious little pastries taste so amazing just warm out of the oven, it almost never lasts for dessert, but when it does, it is enjoyed with a scoop of vanilla ice cream for the boys, but just with a cup of coffee for me. But however you choose to serve fruit mince pies, it is sure to be loved and enjoyed. Start by making the pastry by creaming the sugar and butter or margarine. Knead lightly to form a soft dough. Place in the fridge or freezer for about 10 minutes. Put 1 tsp fruit mince mixture into each. Re-roll out the pastry to cut out covers and press them on top to seal. 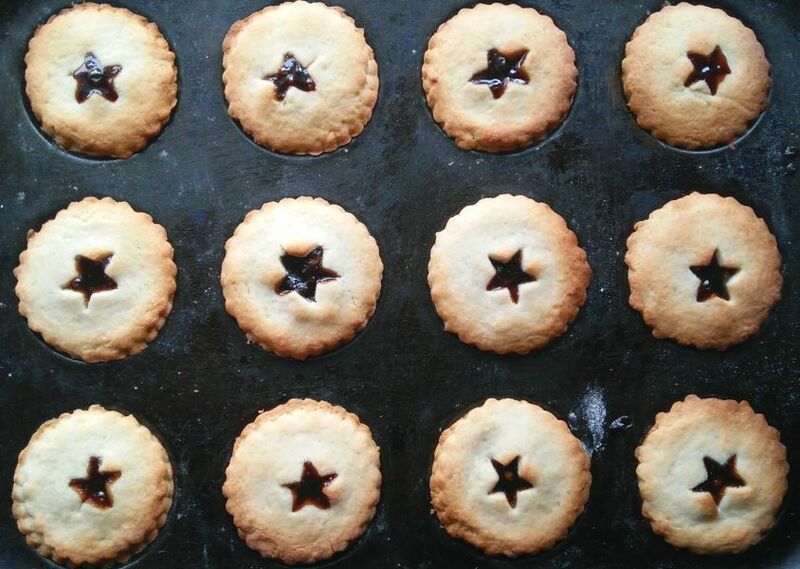 Bake mince pies for 10-15 mins until golden brown. Remove from tray and place on cooling rack. 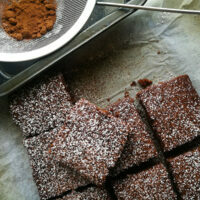 Dust with sifted powdered sugar. Store for up to 3 days in an airtight container. Those pies look so good I could eat a tray of them lol. No, seriously, they look real yummy. Thank you Maria…oh yes it is a great idea to add this to a cookie tray as well. These are so cute! I love the little size – just enough for popping into your mouth. I’ll bet these do smell amazing when baking! These are little pockets of heaven! I love mince meat pie, my grandma always used to make it when I was a kid. 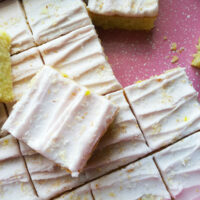 These look just as delicious and I love that sprinkling of snowy powdered sugar. So perfect for the season! Take care. Thank you Stacey, Oh yes this is such a classic recipe, everybody with their own version, but always delicious, perfect and so special. I love these little cuties! I’ve never eaten mince pies before but I know I’d love them, especially when they’re as adorable as yours are! These are such cute little treats!! I have never had a fruit mince pie before, but I can imagine how good these taste! 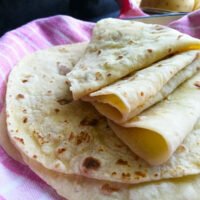 Love your simple recipe Ashika! I would love to try this in place of the regular fruit cake that I bake every year for Christmas! Thanks for sharing! These are adorable! Little bites of heaven! Thank you for sharing; these will be a lovely addition to the cookie tray! have have never had a mince pie but they look and sound devine! I really hope that you get to try it, they are delicious,thank you Patrick. 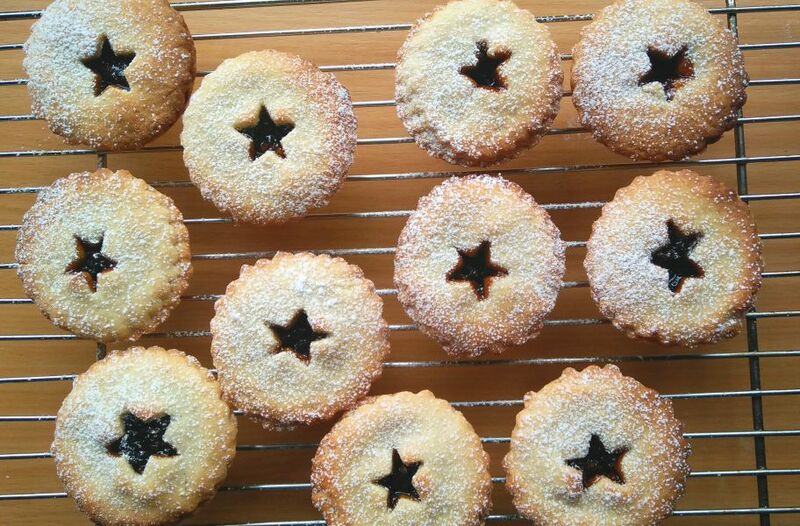 It just wouldn’t be Christmas without homemade mince pies, and these ones are stunning. I had completely forgotten about mince pie! My mom made it every year when I was a kid and I loved it then. I’ve never even made it for my own kids, this is a great idea! Thanks for the quick and easy recipe! Hahaha, my son loves these pies so much and always asking for me to bake it for him, so I definitely cannot forget. I feel bad, Ashika, that this is the first year I’ve actually NOT made mince pies! I’ve bought them to save time! My recipe is remarkably similar to yours though, and I always use shop bought mincemeat like yourself as it’s more convenient. Oh, don’t feel bad Neil, this is such a crazy busy time and we have to save time somewhere, I am just as guilty of grabbing something fromthe bakery instead of making it by myself…sometimes it is just too exhausting. I am so glad that you get fruit mince in your stores. 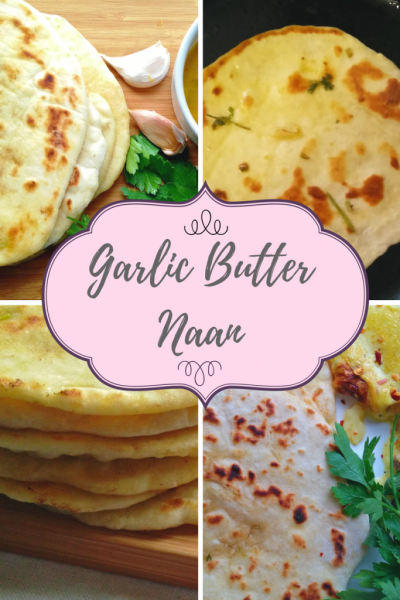 It is not as widely available as I thought and I have been getting many enquiries from other countries on my Facebook groups about how to make the filling itself as they do not get it in the local stores. I thank you dearly for all the posts you have shared with us and hope you will have a Happy Holidays with your loved ones, dear ! Oh these just look absolutely amazing! Buttery crust and fruit filling! Yes!! 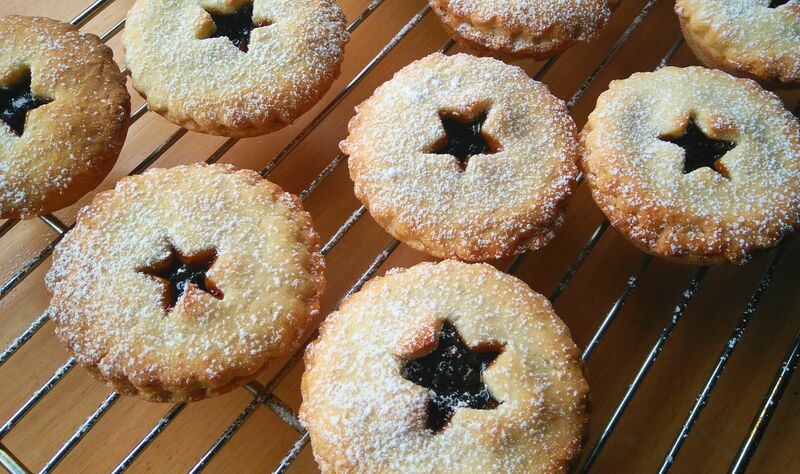 I have never had fruit mince pies, but I’ve love to have one right now. They look and sound delicious! After overloading on super sweet treats this past week, I’m loving the sound of a dessert that has tanginess and sourness mixed in with the sweetness. Thank you Thao…Oh I know what you mean, this is really a refreshing change from all the sweet treats. I really hope that you get to try these out ? 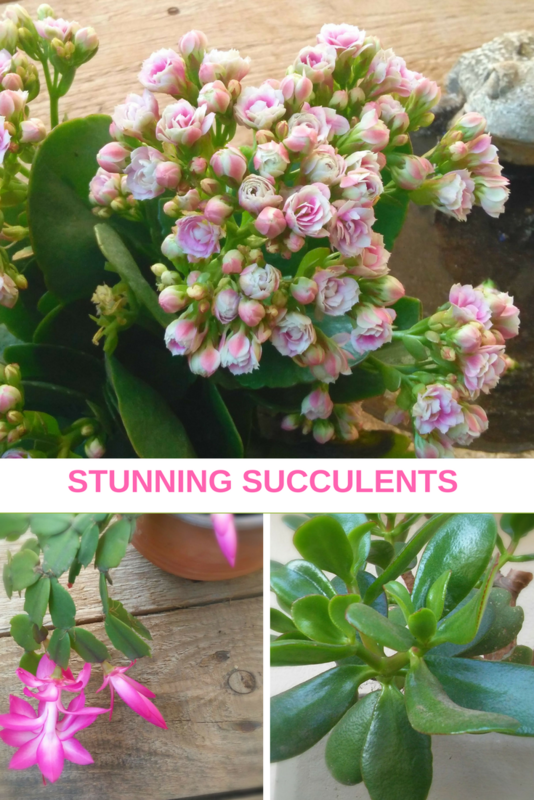 You are absolutely welcome…and I am so glad that you and your kids will love these too ?